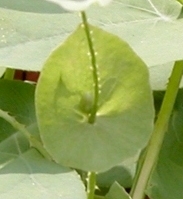 Mile-a-minutevine (MAM) has distinctly triangular leaves. 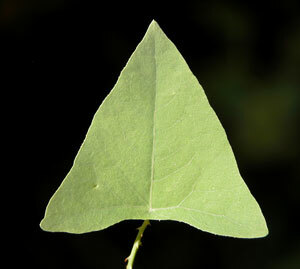 The leaves are approximately equilateral without lobes or indentations. 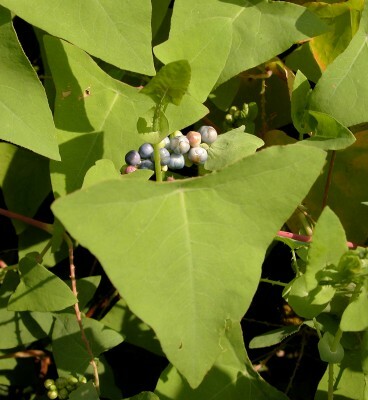 Other plants may have similar vining habits and/or barbs but different leaf shapes. 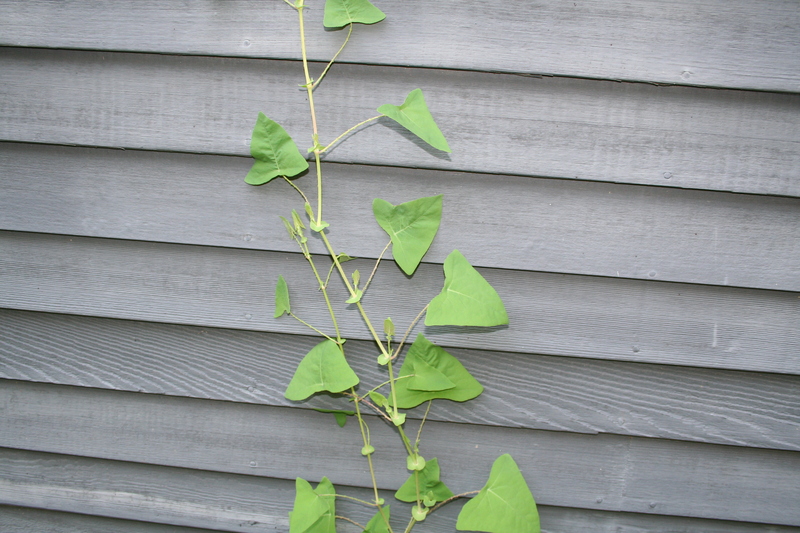 Mile-a-minute Vine has small barbs along the stems and leaf petioles and sometimes along the leaf midribs. 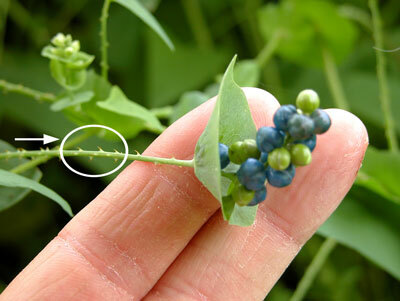 Mile-a-minute vine has small saucer-shaped leaves called ocrea at nodes and branching points. 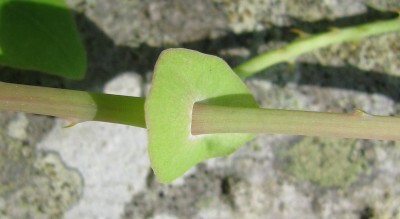 A single mile-a-minute plant. Note the triangular leaves and visible ocrea at nodes. 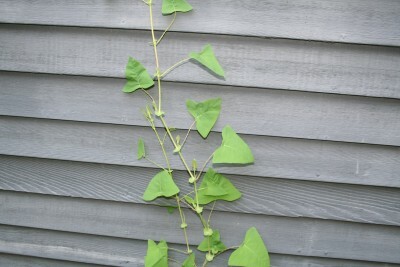 Photo courtesy Renee Sullivan. 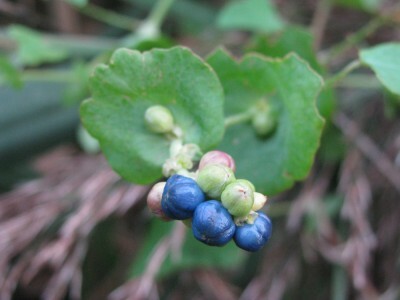 Fruits of mile-a-minute develop in early summer and ripen from blue to green as the season progresses. 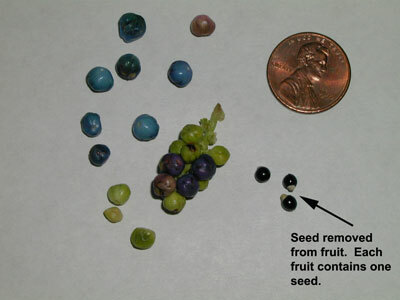 When attempting to control mile-a-minute, it is important to note that GREEN FRUITS MAY STILL GERMINATE. Photo courtesy of Les Mehrhoff .